Low-power mode that can be connected to an iPad. 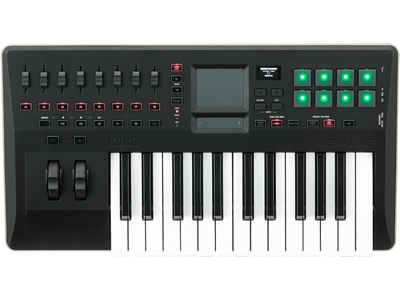 Korg's latest MIDI controllers, the taktile and TRITON taktile, have been updated to system 2.0. 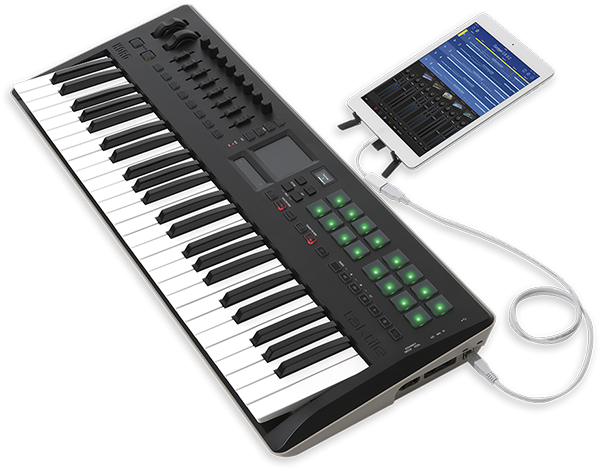 This update provides a low-power mode that works with an iPad, covering all music production setups from mobile to desktop. We've also provided template data that supports the KORG Gadget for iPad mobile music production app (provided via download). The taktile series has evolved into an even better MIDI controller that can accelerate your music production. * For connection to the iPad, use the Apple iPad Camera Connection Kit or Lightning - USB camera adaptor. We are now providing taktile and TRITON taktile users with a full license to the KORG Legacy Collection special bundle, a software incarnation of classic Korg synthesizers. Users who have already purchased the taktile or TRITON taktile can also download this software from the Korg License Center. This bundle includes numerous legendary synthesizers that are foundational for Korg&apos;s history, such as the MS-20, Polysix, Mono/Poly, M1, and WAVESTATION. This powerful lineup joins your music production studio as soon as you buy a taktile series unit. If you have a TRITON taktile, you&apos;ll have the full collection of Korg&apos;s historic sounds. To advance to the next level, get your hands on the newly-evolved taktile or TRITON taktile together with this amazing software bundle. Home News Announcing the new system 2.0 for taktile series.